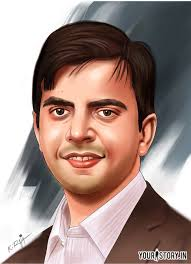 A man of few words, Bhavish Aggarwal is certainly not the man of just few ambitions and achievements. At 28, this ex-IIT-Bombay student is already riding high on success with his remarkable venture in transport sector—Olacabs. Only two years in existence and Olacabs turns out to be a smart successful transport venture in India. 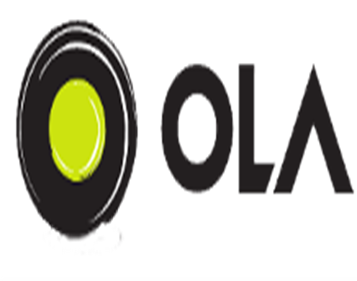 Olacabs received financial aid from Tiger Global and Matrix Partners. So with capital and talent in place, Bhavish Aggarwal is all geared to make his dream venture a pan-India company. “Being from IIT and given his computer science degree, he is clearly a smart guy. But he is the most talented entrepreneur I have seen irrespective of age,” said Avnish Bajaj, managing director of Matrix Partners. The transport sector in India has not seen much of innovation in last five decades despite exponential growth in other sectors around the world. “There is a huge middle class, rising disposable income, technology… all of this put together can help build a much better experience. We are building technology for this ecosystem,” said Aggarwal during an interview. Bhavish accepts that Olacabs was not taking shape at Microsoft where he worked for a long time. “I wanted to make a big impact and create value,” he said. With 8,000 vehicles and 500 employees, Olacabs is already a growing phenomenon. There are thousands of cab services available in India today but what makes Olacabs click among people is a totally different story. It clicks among people because it originated from an experiential view. “I have often seen entrepreneurs look at solutions looking for profit. What we can see is that new people are buying cars and getting into this. So the technology is enabling new supply. Just like in the case of eBay where sellers made a living from the platform,” he adds. Olacabs has grown beyond expectations. And the only downside that Bhavish find with this phenomenal growth of his venture is missing out on his starting days.